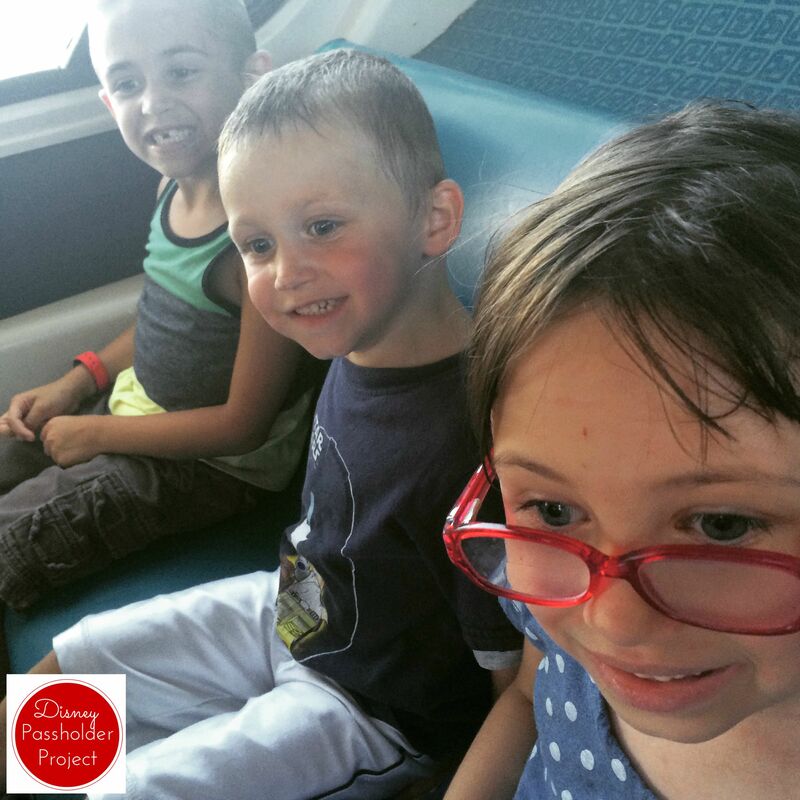 Earlier in the week we had the great idea to go to Magic Kingdom and see if we could hit EVERY ride in the park. We would get there at the elusive rope drop and run through the park with the sun shining and the children being happy and agreeable the whole way! We had also realized that Kid #2 was tall enough for Space Mountain and told her that we had a surprise for her on our trip because surprises are fun. I should know better that to tell this child that there is a surprise coming because she is just like me and cannot sleep when she knows something is coming. Proof – She woke my husband up at midnight and 1am for a drink of water. Then woke me up at 3am for a drink and 4:15 because she had woken up Kid #3 and they were yapping away. What the heck! My alarm was already set for 5:45 (8am park openings are rough). Through blurry eyes and loud children yielding frozen waffles and bananas we made it out the door on time to stop for gas and coffee. For once we were going to make it to rope drop…but then the gas pump wasn’t working, they didn’t have breakfast sandwiches, and the attendant was less than pleasant so we had to go to a second gas station before hitting the highway. We were on Disney property when the Opening Show was going on, but we just couldn’t get there in time…however, we walked through the gate at roughly 8:05am and bolted straight to Seven Dwarfs. The posted wait time was 30 minutes, but I am pretty sure that they list that at park open. It took us no more than 15 minutes from the time we stepped in line to getting off the ride. What a great way to start the day. Then we headed to Big Thunder Mountain Railroad, but were distracted by a 15 minute wait for Peter Pan. We hopped in line. This was our first time ever going through the line because we usually grab a FP+. The line is ADORABLE and is the perfect set up to the ride. In fact, I think I appreciate the ride more after waiting in the line. I wish I would have been able to get some pictures, but we were really only in line 5 minutes. After our ride to Neverland and back we made it to Big Thunder and were able to ride it twice because the wait was only 5 minutes! We were going to jump on Splash Mountain since we were there, but it wasn’t open. I’m not sure if it was because it was early, or something was going on, but the big drop didn’t have water on it and there were some alarms going off. We decided to come back later. Space Mountain (and Kid #2’s surprise) was next up on our list. Hubs took the big kids while Kid #3 treated me to my first ever trip on the Astro Orbiter. I am NOT a fan. I don’t to heights well and I kept feeling like I was going to slip out of my rocket…not cool. The view, however, was pretty cool. We decided to do a switch since the Space Mountain wait was still only 10 minutes and I took the big kids and Hubs took the little guy on the Tomorrowland Speedway. I know it is cliche, but I love Space Mountain! I am well aware that it isn’t actually an impressive ride with the lights on, but when you don’t know what’s coming it’s awesome. Now, friends, this is about where we started to loose traction for our “Ride Every Ride” Challenge. We decided that we needed to pick a spot and just circle the park to be more efficient so we started with the Circus. Our family loves the quick and easy Barnstormer. I don’t know why, but we do. The ride is no longer than 30 seconds, but sometimes that’s all you need. We got in the 20 minute wait line knowing it would only be about 10, but then the line stopped moving…and the ride stopped running. Soon they made the announcement that the ride was down and they did not know how long it would be until it came back up. We gave the kids a snack, but after a few minutes decided to get out of line and head over to Dumbo. I won’t get into the gory details of the meltdowns that occurred (ain’t nobody got time for that) but just know that this was about where we gave up on hitting every ride in the park. We decided to hit the rides we had FP+ reservations for (Haunted Mansion, Pirates of the Caribbean, and Jungle Cruise) plus a few more, have a little snack, and play a round of Sorcerer’s of the Magic Kingdom and then after dinner we would decide whether to go home, or try to stick it out for a few more rides. Ahhh dinner. Earlier in the week when we decided to go to the park I was supposed to make a ADR (advanced dining reservation) for dinner. I was having trouble with my phone when the decision was made so I planned to do it later. I forgot. We got to dinner time and had no dinner reservation. BOOOO. You can’t walk in anywhere at Magic Kingdom. There are just too many people vying for those reservations…so we monorailed over to Epcot. I love dinner at Epcot. The longer you read this blog, the more you will notice a pattern…we almost always go to Epcot for dinner. The food is just fricking amazing that we just can’t help ourselves. Oh, and you can almost always walk in and get a table. We have only been turned down once, and that was on date night at Le Cellier during Food and Wine so we were silly to think we would get in. I digress. We bolted straight to dinner at Nine Dragons and were not disappointed. After dinner I completed a Agent P mission with the big kids while hubs took Kid #3 on the Grand Fiesta Tour (a MUST in the Mexico Pavillion). We then we went to Spaceship Earth were I sat through the entire ride in a language I did not understand compliments of my daughter’s pinkie brushing the screen. Once we returned to the present day I insisted on a park departure treat of ice cream. It had been years since I had a Mickey ice cream bar…it was time. This also helped quiet everyone since we were leaving relatively early and still had to monorail over to the Transportation and Ticket Center (TTC). So there you have it. We attempted to do all of Magic Kingdom, only to be thwarted by our own planning. Whoops! 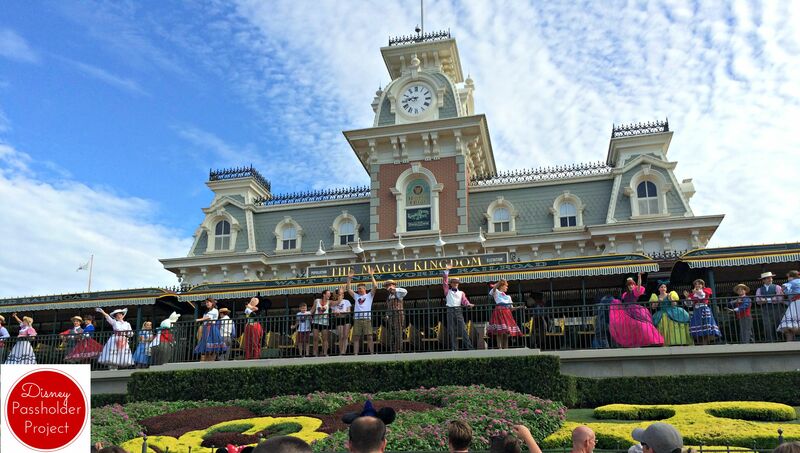 Have you ever ridden every ride at Magic Kingdom, or any other amusement park, all in one day? How do you deal with meltdowns (from kids or adults) while at the park? Tell us below, and make sure to check out our NEW weekly podcast! With a family of 5 it feels like we are always celebrating something…and that something is frequently a birthday! Last week was Kid #2’s 6th birthday, and she had been counting down to it since before Christmas. I guess turning 6 is a big deal. Going to the park of her choice the Sunday after her birthday…gotta get that birthday button! Whoa…spoiled much? I’d say that this isn’t what we typically do, but why can’t you celebrate your birthday for a month? But this isn’t a birthday blog…it’s a Disney blog so let’s get to the park part of the celebration! We had been planning on going Sunday of MLK weekend for a while since there was no school/work the next day, but on Saturday it looked like there was a 100% chance of rain throughout the day so we cancelled our FP+ and decided to see if Monday’s forecast was better. But then the pixie dust took over! When I woke up on Saturday the forecast was clear the whole day because the storm hit us overnight. We scurried around and were out the door with a bag full of snacks (we were only planning on purchasing one quick serve meal that day) and were able to make it inside the gates within 2 hours of opening. Now, since Kid #2 had already had gifts and a party this was a bit of a low-key celebration. No ADR’s (advanced dining reservations) had been made, no appointments with Bibbidi Bobbidi Boutique, and FP+’s were not made for meeting princesses…it was basically a “normal” day at the park for us, but with a birthday button. Here are some of the highlights! Big Thunder Mountain!! This is a family favorite and it is very rare that we get to ride it during the day. For some reason we always get evening/night FP+ for it. Kid #3 has just recently realized (admitted to himself) that he likes roller coasters. I cannot express how much more enjoyable trips are when you aren’t fighting a 4 year old in line for half an hour. And he’s a biter. We finally got signed up with our starter sets of Sorcerers of the Magic Kingdom cards. Kid #1 has been begging for months to do this, but we wanted to wait until the holiday crowds went home to get started. We took turns at each portal to fight against the likes of Scar, Hades, and Maleficent. Even Mommy and Daddy got into the game. This isn’t something I would recommend for a family that is on a “once in a lifetime” trip to Walt Disney World, but I think it is awesome for Annual Passholders and guests who come regularly. The birthday slushie! Kid #2 kept talking about getting a birthday cupcake from SOMEWHERE!! She went with daddy to grab dinner from Pinnochio Village Haus (like we did on her 3rd birthday trip) and she came back with a crazy sugary lemonade slushie. The boys have now declared that they wanted to go back there for their birthdays because THEY wanted slushies. Kisses from Belle! Kid #2 gets very excited to always participate in Enchanted Tales with Belle, but Kid #3 is ALWAYS attached to my leg. He hides. This day he decided that he was going to play too! I was over the moon excited. He did everything the castmember asked when she was handing out parts and Kids #2 and 3 got picked to be Mrs. Potts and Chip! They are excellent hoppers! After the performance when it was his turn to meet Belle the castmember helping him showed him how to box to Belle and it was amazing. She spent more time with him than any other kid and then (after I put my phone away) she game him a big kiss on the check! 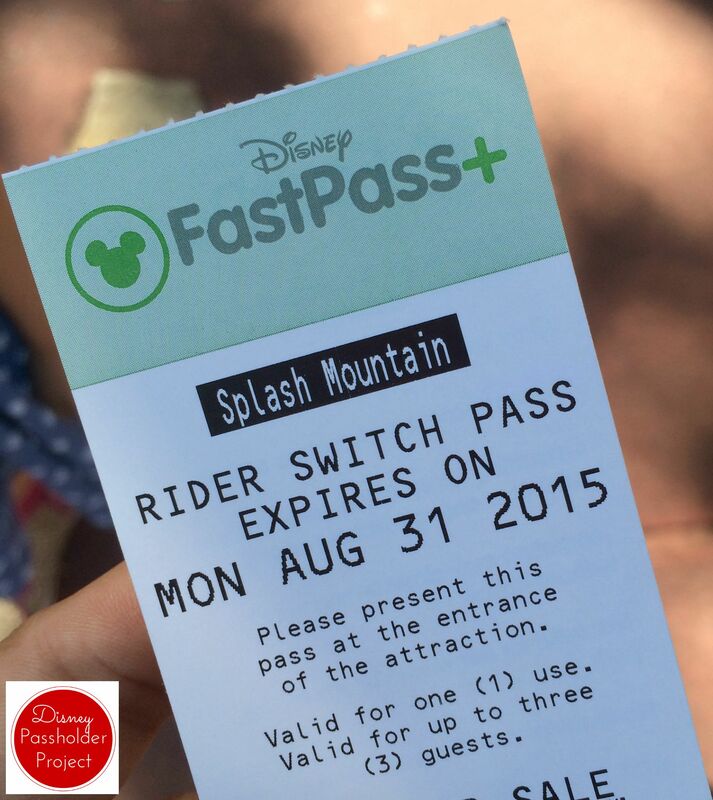 THIS is one of those times when I cannot wait to upgrade our passes so that Memory Maker is included! We typically do not get in line for Seven Dwarfs Mine Train unless A) we have a FP+ or B) the wait is half an hour or less. On this trip we decided to get in line with it showing 50 minutes because every ride had been about half the posted wait time all day. This was the same! 50 minute wait posted and only 30 minutes until we were off the ride. Awesome as always. Pixie Dust was on our side again!! I was grabbing a couple of coffees to warm us up while we completed the Adventureland mission for Sorcerers of the Magic Kingdom and the castmember made 2 hot cocoas. When I corrected her she offered them to me for free since she would have to dump them anyway. Talk about happy kids! This little boost helped us push through Kid #2 taking FOREVER to spend her birthday money (a Belle purse and gloves, thank you very much!). This trip was almost picture perfect. We rode 85-90% of the rides we wanted and only had one small child meltdown when we were leaving. January is one of my favorite months to go to Disney because the crowds are gone and the heat isn’t forcing you to stop for water constantly. This weekend we are looking to do Animal Kingdom and Hollywood Studios on Sunday. Fingers crossed that it is another good trip! Have you ever gone to Disney to celebrate your birthday? Maybe an anniversary or engagement? I have seen a lot of people there celebrating high school and college graduations. Walt Disney World is AMAZING for celebrations! What are your 2016 Disney Resolutions? 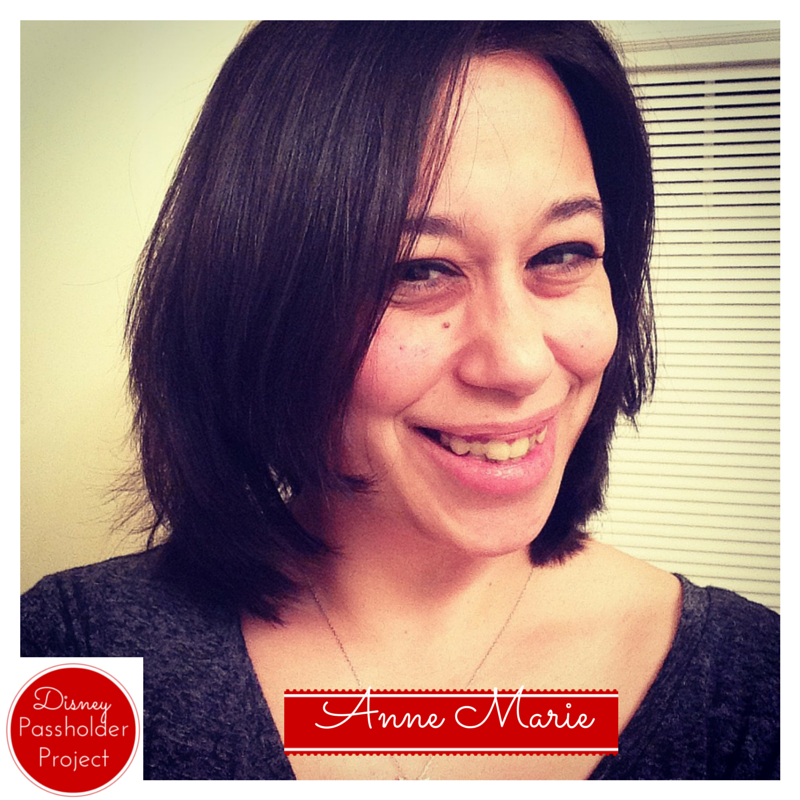 If you follow me on social media than you know that not too long ago I scored the Holy Grail of FP+ for almost any little girl – Anna and Elsa thanks to The Dibb! It has taken me a little while to get this post up because of switching computers, corrupt files, and the holidays, but here we go with our Princess-palooza! Kids #2 and #3 and myself had FP+ to go meet Elsa and Anna around 10:20pm on a Saturday before their passes started blackout started. This was perfect! We got out of Philharmagic right around 10 as the fireworks started which put us in my new favorite place to watch Wishes. Seriously, once you have seen Wishes from the usual view you need to stand somewhere around the carousel because you will be surrounded by fireworks. It is really neat to see how they layer them for the show. When it was time for our FP+ we headed over to the Princess Hall and walked right in. The wait for Elsa and Anna was around 45 minutes (I believe) but with our passes we waited less then 5 before being ushered into the meet and greet room. Both of my kids were SUPER excited and could not wait to meet their idols. My kids were so excited they could barely do anything except smile and giggle. I had told them in advance to ask her questions or tell her how much they liked her, but they completely froze up. Maybe next time. After being so star struck with her sister I was a little worried about how they would be with Anna, but it was like night and day! She pulled them out of their shells and had them do stretches with her before heading to the North Mountain. THEY LOVED THIS! Kid #3 thought this was the greatest thing ever! He actually had a bigger reaction with her than when he met Woody and Jessie on his birthday! THAT FACE!! I don’t think he could have been more excited if Olaf was there. As with everything at Disney once you leave the attraction you are in a gift store. This gift store happened to have Minnie Mouse dressed up like Elsa so we had to get our picture with it! Since we had gotten in and out so quickly (we did get a fair amount of time with the princesses…no rushing!) and we weren’t set to meet up with the Space Mountain crew for a bit we decided to jump in Rapunzel and Cinderella’s 10 minute line. I don’t think we ended up waiting even that long! I figured since they had warmed up with Anna that they two would be fine with Princesses Round 2, but they clammed back up! LOL Rapunzel did get down on their level to interact with them which they loved. She even complimented my daughter’s skirt saying it looked like paint and that absolutely made her day. She still talks about it. Cinderella was so stinking cute! I loved her. For some reason Kid #2 kept showing her her shoes (that have Anna and Elsa on them and are falling apart) so they all had a shoe fashion show. It was awesome. Here is my #1 tip for meeting characters…don’t just stand there and smile, INTERACT WITH THEM. The more questions and things that you have for them the better your interaction with them will be (and the better pictures you will get!). One person who always has AMAZING interactions with characters is The Character Queen. Check out his pictures and videos…always good for a giggle! What are the best character experiences you have had? Why were they so amazing? Are you thinking about going to Disney for Thanksgiving? Especially if you are a passholder. You have options! Take advantage of them and don’t even think of setting foot in the park. We almost learned this the hard way. This weekend we made Sunday a 3 park day by hitting Hollywood Studios, Epcot, and Magic Kingdom before wrapping things up at the crazy McDonald’s near International Drive. The lines weren’t terrible (spoiler, we rode Star Tours 3 times). Then yesterday, Monday November 23, I saw posts on social media of the lines at Magic Kingdom and was sick. MASSIVE CROWDS. Huge lines for everything. So here is what we did on our 3 park day. The park opened at 8am and we arrived around 7:40 so that we could make a beeline to Toy Story Midway Mania because it is humanly impossible to get FP+ for it as a passholder. This is because guests staying on site can make their reservations 60 days in advance and passholders only get 30 days. I’ll offer some tips on this another time. So we made it to Midway Mania BEFORE the park technically opened and there was already a 20-30 minute wait. BOO! However this is better than the 70 minutes that we have waited before and got in line. I think that the problem with this line is it is SO DECORATED that people are constantly stopping to take pictures and holding up the line. I get it. You’re on vacation. That picture with the life size Barrel of Monkeys will not make your memories better. At least the talking Potato Head was blocked off (presumably because of construction to add the third track) because he REALLY holds up the line. On this particular trip I was wearing a Greetings from Storybrooke t-shirt and one of the Cast Members commented about Mr. Gold’s shop in Streets of America. This is a common tidbit that they like to share. However this CM told us that the shop will not be there too much longer 😦 It seems that since this is the last year for the Osborne Lights and there is SO MUCH CONSTRUCTION coming to Hollywood Studios that the Streets of America might be going away. So, of course, we had to walk by and tip our theoretical hats. //platform.instagram.com/en_US/embeds.jsNext up was an overdose of Star Tours. Since they have added scenes from the new movie and there are over 50 different combos that you can get we always got a new adventure. On our second trip Kid #2 got to be the Rebel Spy. You should ask her about it. She has been reminding us of it FOR DAYS. The only downside (IMHO) is that all three trips had the same middle and a transmission from BB8. After hitting a few more rides including our favorite The Great Movie Ride and not-so-favorite Voyage of the Little Mermaid we headed off to Epcot. We probably would have stuck around a little longer, but the lines for Tower of Terror and Rockin’ Rollercoaster were just this side of too long because I would have to entertain the little kids for too long. Kid #1 went to a birthday party not long ago and they were talking about the World of Coke and Epcot’s Club Cool and he got obsessed! He wouldn’t stop talking about it. So we promised that we would take him this trip EVEN THOUGH we went to World of Coke when we lived in Atlanta and it is essentially the same thing. I think they were just excited to drink pop because we only allow it on special occasions. So we all OD’d on samples before heading off to the World Showcase for adult lunch and a Perry Mission. Since Food and Wine is over the Showcase is MUCH calmer and it doesn’t make me twitchy to go there anymore. It was also not too busy for a Perry mission through Germany. There seemed to be a lot of people who had the same idea because there were kids with phones all over and Agent P and Doffensmirtz popping up all over the place. The kids had a blast! We also did some things that we had never done before! We finally made it to the O, Canada! and Reflections of China movies, as well as catching part of the Lumberjacks show. My kids were unimpressed by having to stand for the Circlevision movies, but I thought they were beautiful. I want to take a vacation to Canada now! I also learned, after our visit, that the Lumberjack show has ended! We caught one of the last shows 😦 If I would have known I would have gotten more pictures/video. Mid-afternoon we were met with tantrums, a freak rainstorm, and wait times in excess of 2 hours on Soarin’ and Test Track. This is when we decided to grab the kids a snack (low blood sugar?) and head off to Magic Kingdom to round out a 3 park day. This was before round 2 of tantrums started. We were those people. I HATE being those people. So we plopped them all on a wall and gave them a Wasa cracker and a timeout. Mommy and Daddy would be dictating what rides we went on. Kind requests would be taken, but no promises that we would do them. We made it on Big Thunder Mountain and Buzz Lightyear before giving up and heading home. I fully blame myself for many of these tantrums. I did not bring enough food with us to keep bellies full and blood sugars evened out. However, I am so grateful that we went when we did. We had been planning on making a few trips over the Thanksgiving week and we have cancelled those plans to do other things, like go see Pan! The parks have all been pretty busy on the weekends since Mickey’s Not-so-Scary Halloween Parties and Food and Wine started. This week we decided to check out the Magic Kingdom in the middle of the week because it was BOUND to be slower…right?! We arrived at the park right around dusk and were heading up Main Street towards our first FP+ (Jingle Cruise) ohhing and aweing all of the Christmas decorations when an announcement was made. Elsa would be lighting the castle in 5 minutes. It was like fate! We had watched the first lighting the other night when it was streamed online and Kid #2 was SO EXCITED (who am I kidding, I was excited too). This is something that I thought was just for the Christmas party and here we were walking right into it! We politely pushed our way through the crowd to find a good spot in the Hub. We ended up being right behind a pretty big TV screen that the show was on that I am pretty sure was there because they are recording the Christmas parade this week in the park. And then it began with a little banter from the characters and Olaf being Olaf before the main event, and as with most Disney shows, it did NOT disappoint! After the lighting was Jingle Cruise time! We had only been on the Jungle Cruise once before and I couldn’t wait to see the holiday overlay. It was adorable and we had a great skipper! The special cruise Santa hats were awesome and I kind of want one. We also had some extra special Disney magic. Peter Pan was flying by and saw how brightly our kids were shining and sent 2 castmembers with a special present for them…a HUGE hot fudge sundae! They were beyond thrilled (especially since we had NO intention of buying anything). We only hit a few rides since it was a school night and we had to get home (we also had some VERY cranky/sleepy kids), but it was a wonderful night. I can’t wait to spend a full day in the park (and maybe grab some better pictures). We also didn’t sample any of the fun, seasonal treats and that HAS to happen! Are you coming to Disney for the holidays? What are you most looking forward to? So having an Annual Pass for Walt Disney World is fantastic, but it has only wet my appetite for everything Disney. This has left me wanting more and more of the extras! Here is some of my Disney Bucket List as of October 2015. When I was in college a group of my friends starting going to High Tea at the Ritz-Carlton. It gave us a chance to dress up and be fancy vs. covered in paint and learning lines as theatre students. I guess that is the definition of a theatre kid 🙂 This is an experience I would love to share with my almost 6 year old daughter because who doesn’t want to dress up and be fancy? I am not a runner by any means, but I have read such amazing things about competing in the runDisney events that I am chomping at the bit to compete! I am hoping to start doing some training in the next few months so that I can get signed up when 2017 signups open. Want to join me? I’m sorry, but how fun would it be to be apart of the Magic Kingdom Welcome Show!?! Until this past year I didn’t realize that they chose a family to be IN the show and now I am dying to get picked! Yes, I am that girl! I would love to challenge myself (and maybe drag my little diva along) to park hop and meet all of the princesses in one day! It would take a ton of planning, but I think it could be done. People ask me all the time about the hotels, and I honestly can’t answer a single question about them! The only one I have ever been in (except while on the Monorail) is the Grand Floridian for a late dinner and fireworks viewing. This has only perked my interest over and over again and I cannot wait until I am independently wealthy and can spend a week in a fancy suite/bungalow/villa. I love my family and all of their craziness, but I think it would be super fun to do a solo trip to Disney…any of the parks! Single rider lanes, quick service meals that are actually quick, not having to listen to someone ramble on about the Country Bear Jamboree. The possibilities are endless. 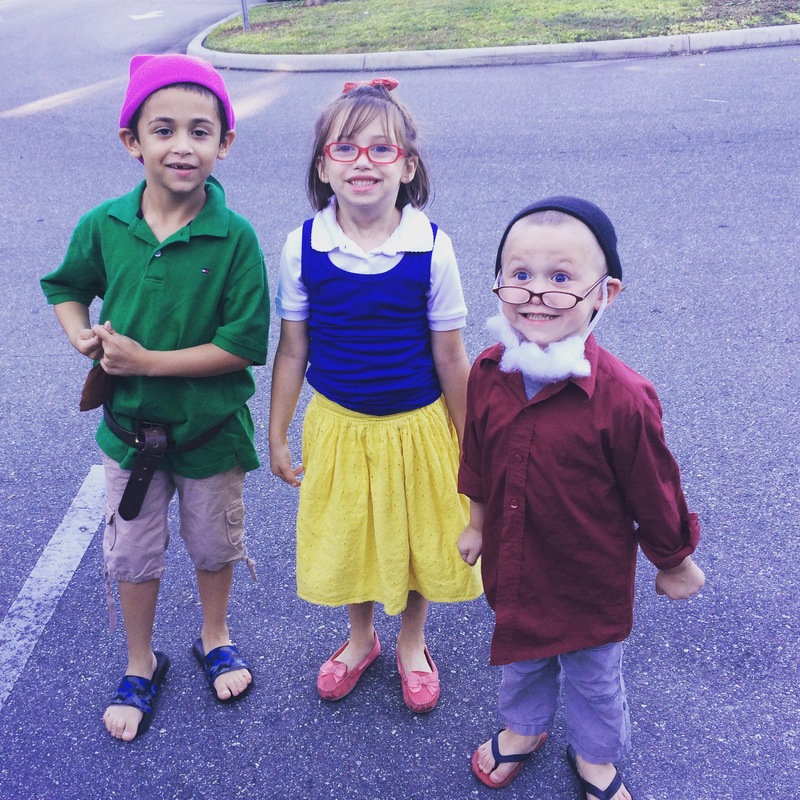 For their school’s Storybook Parade to celebrate their annual bookfair my kids dressed like a Disneybound version of Snow White, Doc, and Doopy. I have never, and will never love a costume as much as this, but I am totally jealous!! I want to put together some adult versions of characters and go Disneybounding! I have never been on a cruise, so why not make my first one a Disney cruise? I have been working on hubby for a few months to get him to agree to one and I am pretty sure I can do it sometime in the next year. Fingers crossed! I know that there are A LOT more things that I could (and will) add to my Disney Bucket List, but they escape me at the moment. What is on your Disney Bucket List? Have you ever done anything on my list? On last night’s episode of Universe Box we talked about all things Retro Futurism. From a “Great, Big, Beautiful Tomorrow” to Captain EO and Spaceship Earth we compared the Disney futures and pasts. You can catch the full episode below, but be sure to join us each week at 8:30pm EST at live.universebox.com where we talk about topics such as chocolate, Harry Potter, family, Disney Renaissance, and many more. Monday was the first day of school for all 3 kids, and like proper Disney addicts and passholders we celebrated the last day of summer in the Magic Kingdom! 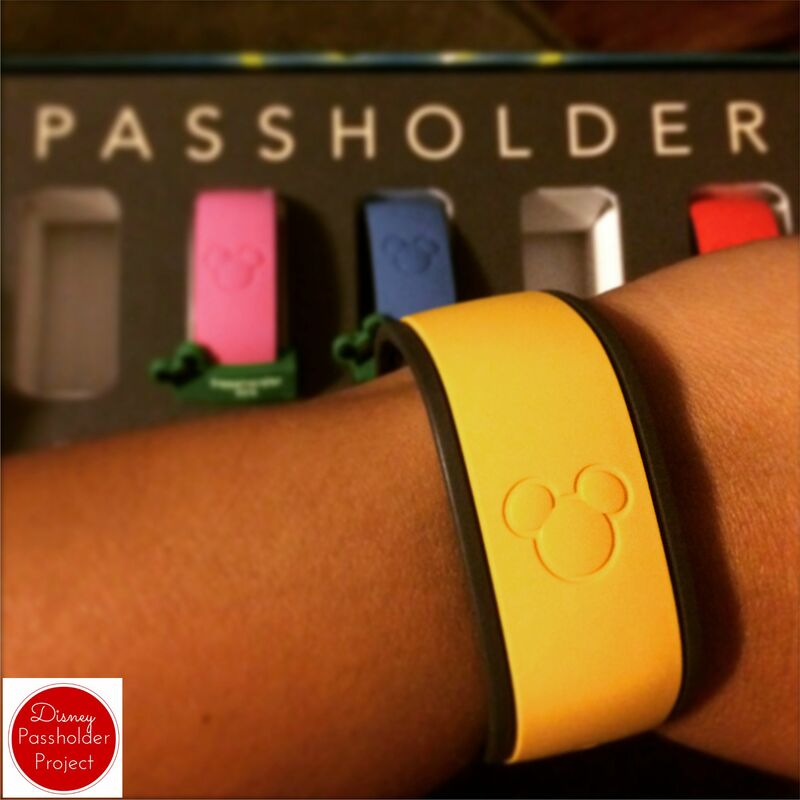 This was also our first time using our MagicBands and taking all three kids. There was a lot of excitement in the air! We got a late start for our adventure because we had an overnight guest, but we hit the ground running from the minute we hit the boat. We had planned to take the monorail, but it was down…booooo. It was pretty darn warm (in the mid-90s with a heat index over 100) and we could not wait to make our first stop…lunch! We had a FP+ for Buzz Lightyear right after lunch so we knew we wanted to hit Tomorrowland to eat. Our Quick Service restaurants are pretty limited there so we went to Cosmic Rays Starlight Cafe. Never. Again. While the food was tasty and filling (there was even a veggie sandwich option), this restaurant gives me hives with how busy AND slow they are. I’m also not a fan of the fact that you must have your food before you can be guided to your seat by a castmember with a lightsaber. We spent a lot of this day split up based on what rides the kids did or did not want to go on. My husband took Kid #1 on Space Mountain, while I took the other two on the Mad Tea Party and Under the Sea. I tried to Periscope from MTP, but was having connectivity issues, however I did get a little clip from Under the Sea. I LOVE this Ursula! The combination of animatronics and the video in the globe are so cool. While we were split up the little kids and I had a few different character meet-ups and THEY DIDN’T WANT TO DO ANY OF THEM! I was so sad! We were *right there* to meet the White Rabbit, Merida, and Gaston. *sigh* The only character s that they seemed excited to try to meet was Winnie the Pooh and Tigger…who had a LONG line and both kids had already met them. Next we met back up with the rest of our family and headed to Splash Mountain by way of the Haunted Mansion and It’s a Small World. Last week on his birthday trip Kid #3 loved this Splash Mountain, however on this particular trip he was kicking, screaming, and begging not to ride. What!? It was so hot and sticky that the rest of us were craving a water ride. We got all the way up to our turn and he still wasn’t having it. I decided to not torture him and we didn’t ride. 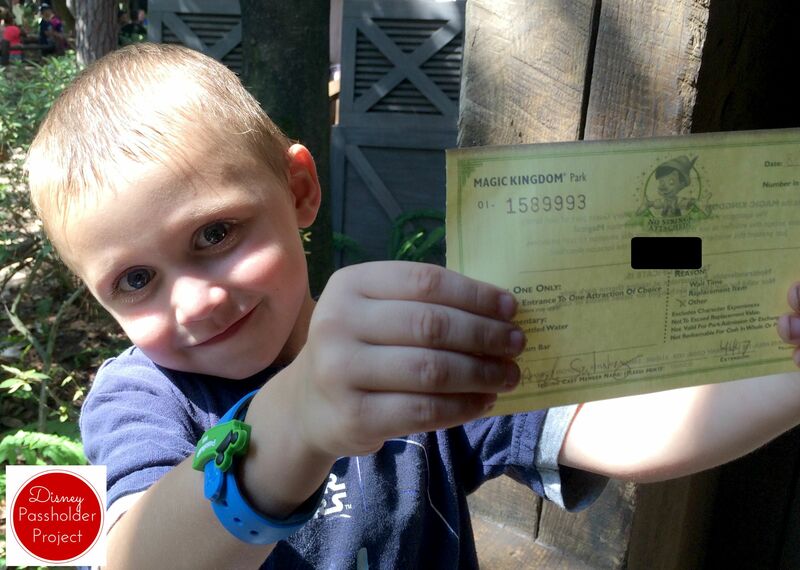 The very nice castmember gave me a Kid Swap ticket so that I could take the older kids back on the ride while the kiddo hung out with Daddy. I was so grateful for this because I really wanted to go on Splash Mountain. While the little guy and I were waiting at the exit another castmember (more manager-y because they weren’t in costume) came up and started talking to us. She was so nice asking about his birthday the previous week and really trying to connect with him. Before she left she actually gave him a special ticket to get a free ice cream from any of the carts while I took the big kids back on Splash Mountain. She did this so that he would have a positive association with the ride in the future and it apparently worked. My husband said that as soon as he finished his ice cream he said he was ready to go on the ride. The other kids were a little sad that they didn’t get ice cream (okay, the whined and shed a tear or two) but quickly rebounded and talked about how the ride was cooler than ice cream anyway. Good job big kids. After our next FP+ (Peter Pan) we split up again because Kid #1 wanted nothing to do with Storytime with Belle, so my husband took him to find a rollarcoaster to ride. I took the little kids on Winnie the Pooh and to see Belle. Pooh, as always, was amazing. 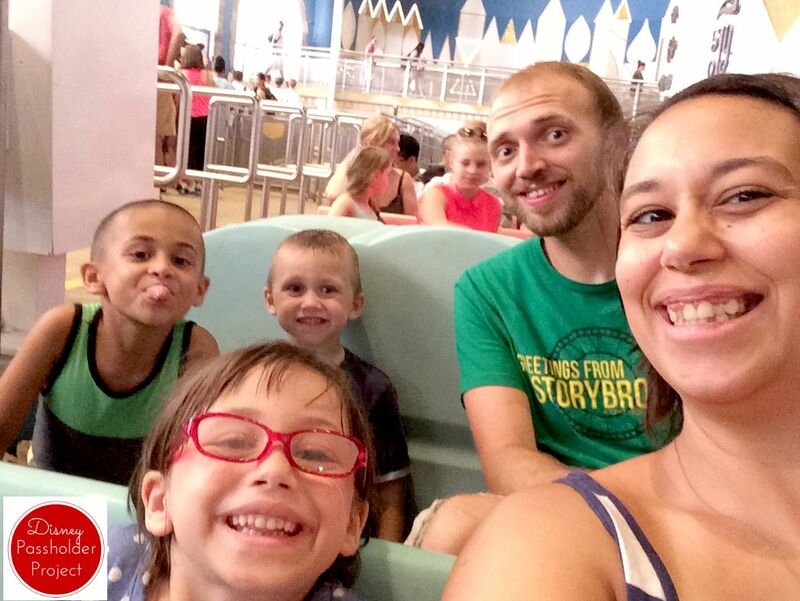 I love how excited the kids get for this ride…it’s really nothing special, but their reactions are. Then we headed over to Belle with our final FP+ of the day. I was a little upset using our FP+ because there was only a 10 minute wait, BUT I knew that we were leaving shortly after so we went with it. Kid #2 was all about being in the show. For her 3rd birthday trip she was a teeny tiny Beast and really wanted to do that again, but we were with some bigger kids and they chose a boy to be the Beast, however, she was Maurice and had an amazing hug with Belle at the end. 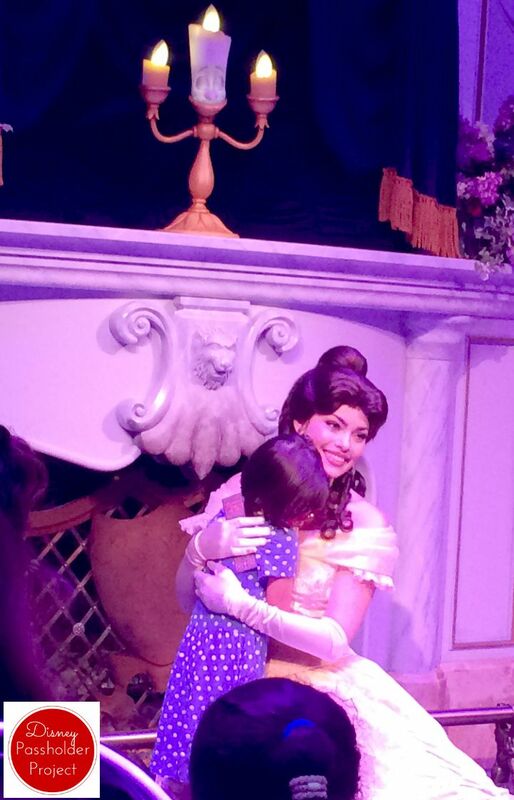 Kid #3 was completely attached to me with glue and wanted NOTHING to do with the show or meeting Belle. Last on our agenda was a quick zip around the People Mover and then Monorail to the car. What a perfectly exhausting day, but a great way to end the summer. 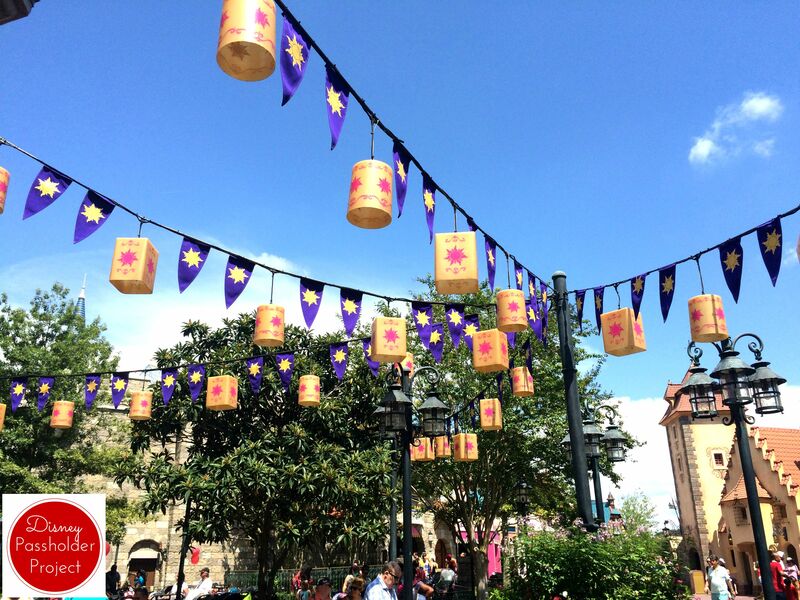 Sidenote: Are my daughter and I the only ones who HATE that there isn’t a Tangled attraction other than a tower and themed bathrooms? We LOVE Rapunzel and think she deserves more than she gets…but then again…so does Merida!